Posted February 11, 2014 by Norburn Lighting and Bath Centre & filed under Kitchen Lighting, Pendant Lighting, Tips and Advice . 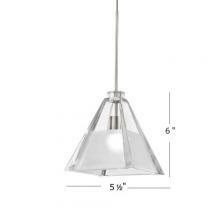 A pendant light is a fixture that is suspended from the ceiling by a cord, chain or metal rod. Pendant lights are used in two ways – in multiples hung in a series or as a single light fixture. They are available in a multitude of shapes and sizes and are perfect for placing directed, deliberate pinpoints of light wherever it may be needed. light pendants and drum pendants. Mini-Pendants are the smallest version of a pendant light fixture, commonly used to illuminate isolated work spaces such as kitchen islands, desk or work surface and anywhere additional task lighting is needed. Mini-pendants are task lighting workhorses. They can define the mood of a room more because of their ability to create a focal point. Typically low voltage halogen or LED light sources that feature highly stylistic and elegant designs, mini-pendants command attention and fill a space with drama and beauty. 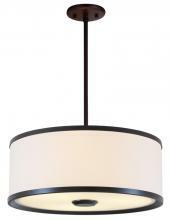 Drum Pendants are light fixtures that have a cylindrical drum shade, typically fabric. 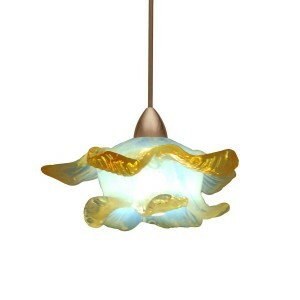 Drum Pendants can be used in every type of room from kitchen to bedroom, office to living room. Simple white or natural linen shades are some of the most popular versions. Drum pendants with dark shades, crystal of metal accents, patterned fabrics and double or triple concentric shades are very popular. Multi Light Pendants are fixtures with multiple sockets connected to one central canopy that provide a look similar to a series of single pendants, but are more convenient to install for rooms with only one overhead electrical opening. Multi light pendants are dramatic, eye-catching and versatile. They can be used over dining room tables, billiard tables, kitchen counters, or other work areas. Pendant lights are ideal for general, task, mood, and decorative lighting. Typically placed over a kitchen island, dining room table, game surface like a billiard table. They are also used in hallways. 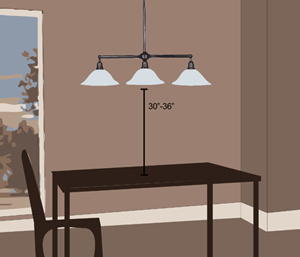 Below, we elaborate on the placement and usage of pendant lights in common areas. Task lighting is important in a working room such as the kitchen. Pendant lights are commonly hung over kitchen islands providing adequate task lighting while also providing an opportunity to enhance the kitchen design. 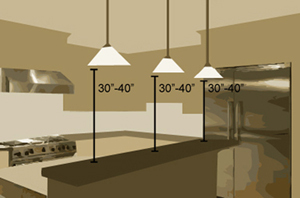 When hanging a pendant light over a kitchen island, the pendant should be hung 30 to 40 inches above the island surface. Because kitchen islands are where family and guests gather, you should consider their interactions at the island when deciding on how low to hang your pendant. If the island has a cooking area, the pendant should not be a nuisance to the person cooking. If the island is used for homework or other work, the pendant should be hung low enough to provide sufficient light for reading. Try hanging pendant lights so the bottom of the fixture is approximately 30 to 36 inches above the dining room table surface. 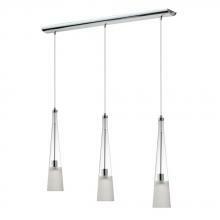 This allows for maximum lighting without the fixture interfering with the area. If you have a smaller dining room table or are looking to create a more intimate setting, hang your pendant light lower. It is important to note that the fixture is not hanging so low that it creates a glare in your eyes or interferes with people conversing at the table. Multi-light pendants are common pool table lights. When playing pool, direct illumination in addition to ambient lighting is necessary. Downward multi light pendants are the best fixture type to use because they illuminate the playing surface, eliminate glare and shadows and provide excellent illumination. 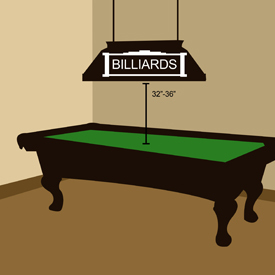 When being used over a billiard table, the pendant light fixture should hang approximately 32 to 36 inches over the playing surface.